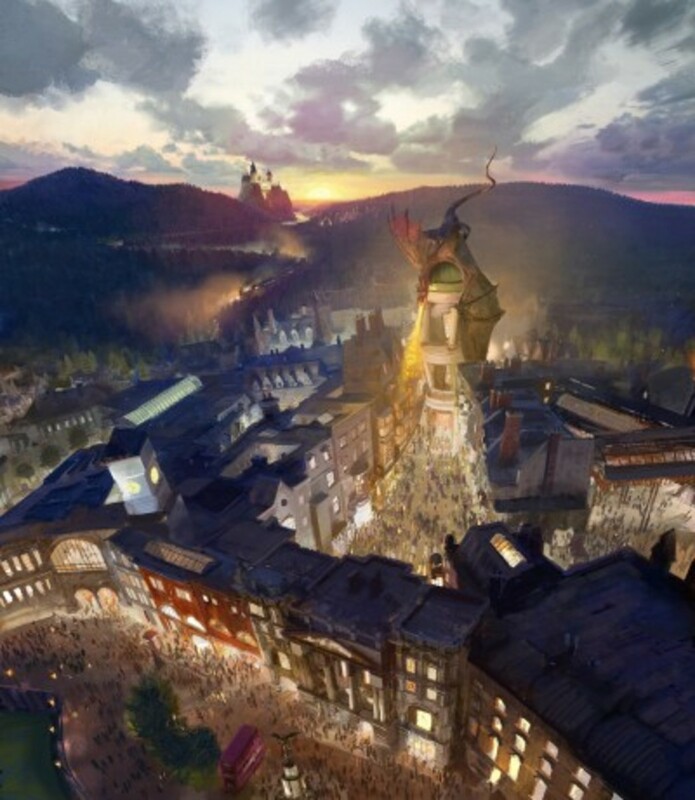 First let’s talk about next summer’s Diagon Alley expansion as I know a slew of families are huge fans of anything Harry Potter. Right now the Wizarding World of Harry Potter with its rides and shops is nestled into Islands of Adventure. The expansion, however, mostly takes place next door at Universal Studios, where the plan is to build a London set made to look as much like the real thing as possible, then hide Diagon Alley behind it, just like the actual street in Britain (and as seen in the film). 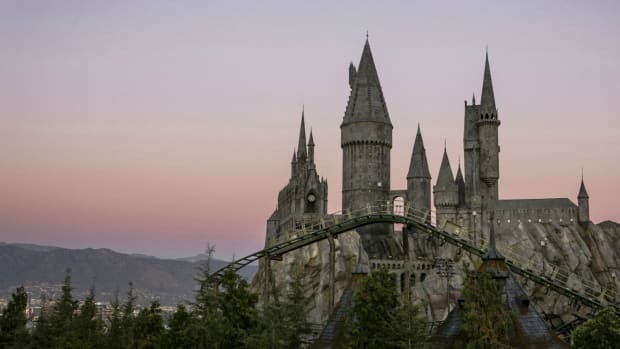 Those who purchase two-park tickets for access to both Universal Studios Orlando and Islands of Adventure will be able to hop on a Hogwart’s Express train and go from the Harry Potter adventure in one park to the second adventure in the other. Also set to debut as part of this expansion is the Leaky Cauldron restaurant, which plans to look as much like the food hall in the movie as possible. The construction of Cabana Bay Resort is something we’ve been watching for a while, and it finally opens in March 2014 (preview rates of $104 per night for seven nights and $134 per night for three are available through January 31, 2014). The mid-century modern-inspired hotel looks like a cross between where Gidget and the Jetsons might have vacationed. Everything is reminiscent of the 1950s and 1960s. On site will be a 10-lane “Galaxy” bowling alley, plus several slides, pools and a lazy river. 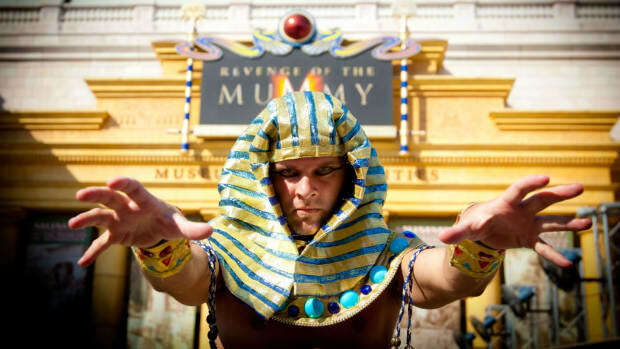 A total of 1800 rooms are broken down into 900 suites that sleep up to six with kitchens and living rooms, and 900 value rooms for those who just want a cool place to rest their head after long days at the parks. 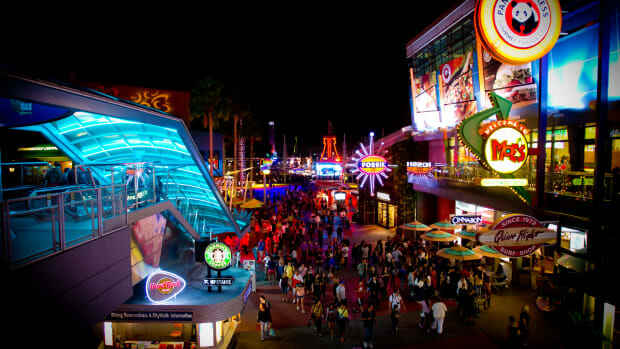 Citywalk will debut its largest expansion ever with eight new or reinvented food venues. I’m most excited about a sushi and burger bar called Cowfish. It’s the brainchild of two guys from North Carolina whose two locations in their home state are reportedly runaway hits. Another fun one will be the Hot Dog Hall of Fame, which plans to have more varieties of dogs and fries than your stomach can (or should) handle. A Mexican restaurant called Antojitos, an artisan sandwich shop called the Bread Box, and an Italian spot called Pranzo are also planned. Joining several national chain restaurants that are already there will be Menchie’s, Cold Stone Creamery, and Starbucks, which is simply moving to a new spot. 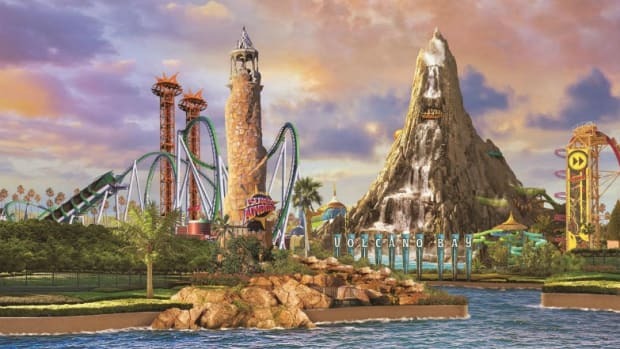 There you have it, folks, lots of great reasons to plan your first or return trip to Universal next year. What are you most pumped up about? 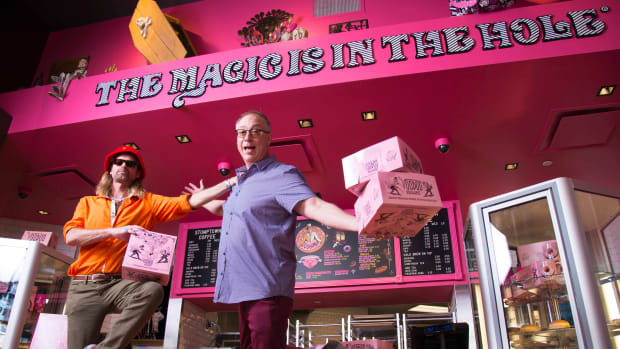 Voodoo Doughnuts?!? Book our tickets! Planning a summer vacation? 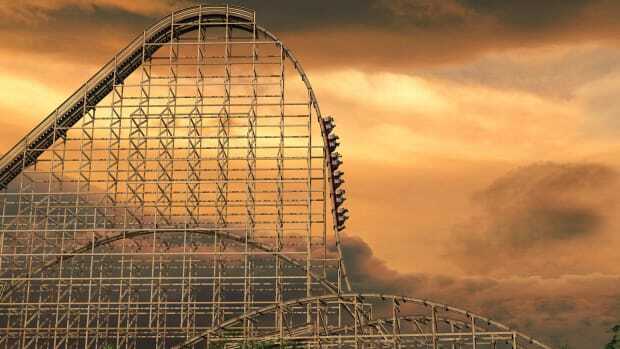 New theme park rides across the country are as good a reason as any to plan a fun family getaway!